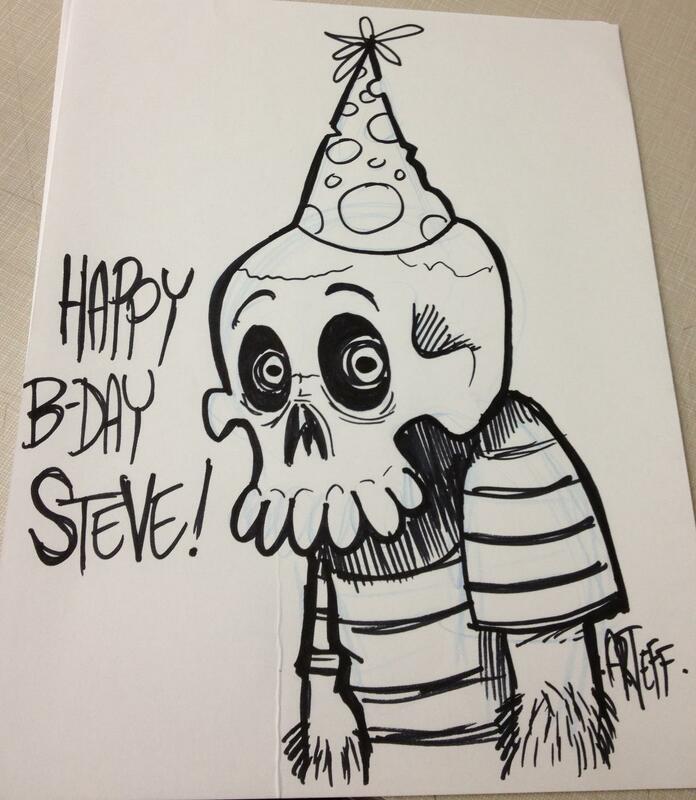 Mr. Karswell turned another year older on May 1st, and while taking a much needed / extended break, found himself again very fortunate to have friends who’ll do some dirty work for me, err– him! 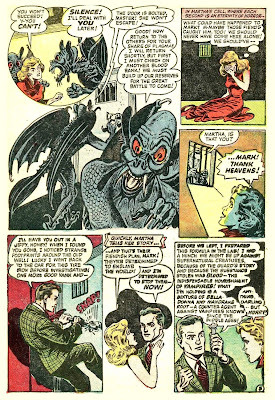 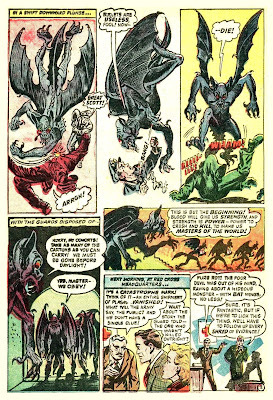 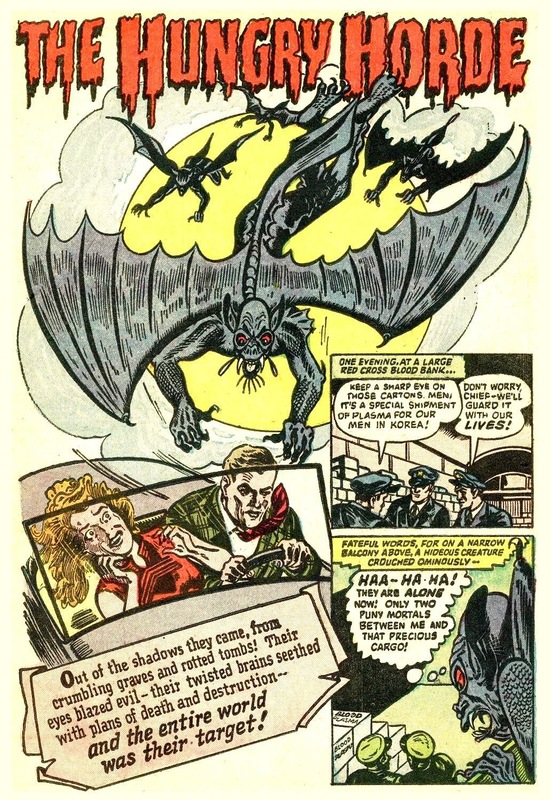 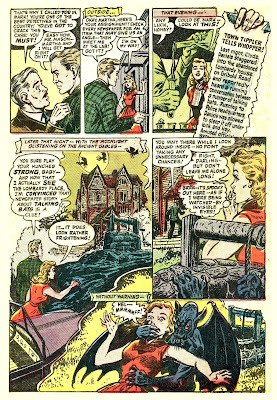 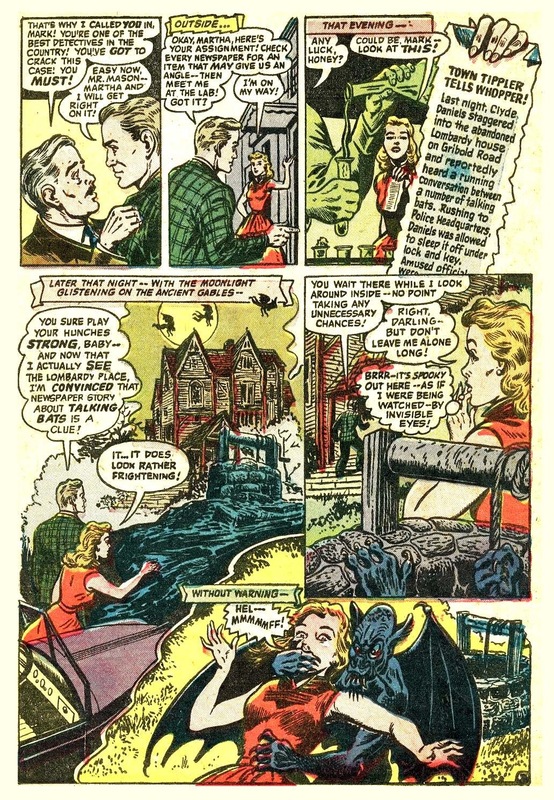 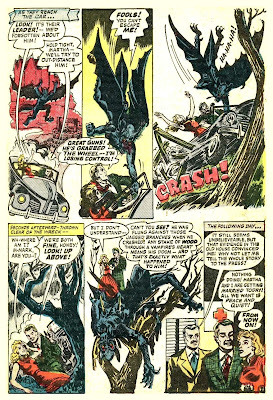 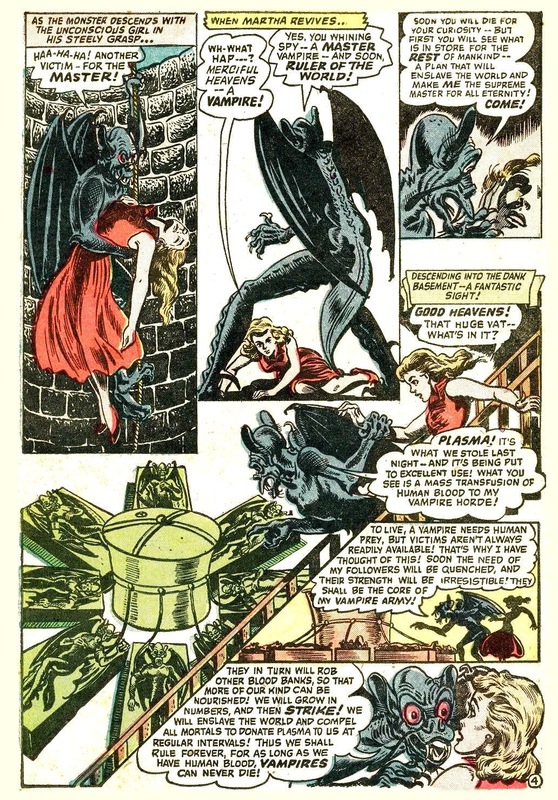 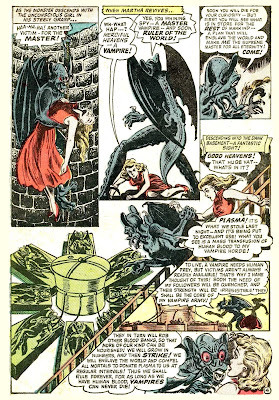 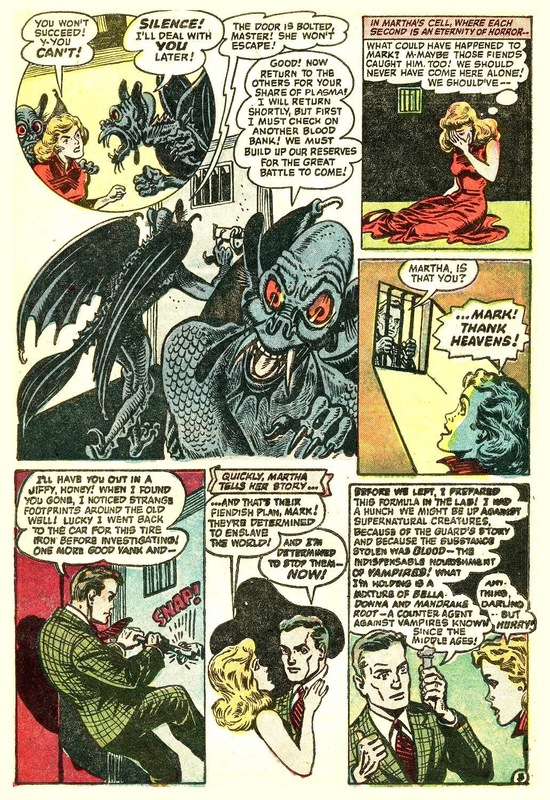 An anonymous friend sends in these scans, a fun and freaky Jon Blummer vampire tale from the January 1953 issue of Adventures into the Unknown #39, followed by a great birthday illustration by Haunted Horror cohort– Art Fuentes! Get ready for another month of vintage horror hits and other assorted mayhem!